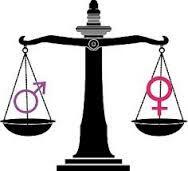 Gender equity is still one of the burning issues in education with its lopsided ratio of male and female. Grogan and Shakeshaft are the authors who tried to go deeper and understand the origin of men and women approach to leadership in academia. These authors claim that there is a different approach women use in leadership which causes are women’s soft character and motherhood feelings. Historically, women’s development in society gives a clear understanding in the difference between men and women by dividing their domestic and social roles. Thus, women’s first and the most important role is motherhood. Due to this, their whole behavior and character is supposed to be soft and tender in comparison with men. In their study Grogan and Shakeshaft (2011) offer that women’s social role is reflected in their approach to leadership with mothering personality revealed in “attention to relationships, encouragement, protection, support” (p.84). Women tend to be demonstrating the same care to their employees accepting the latter as their own children. And this could also be proved by their attitude and choice of words while speaking of their work (p.84). However, claiming that men are such creatures ignorant to the opinions of others and caring only of their point of view is disputable and doubtful. Men are opposed by women where the latter are sensitive, caring and supporting while men are merely described as “despotic kings” interested in their own benefit. There was a period in history when women had to prove they also belonged to the society and could contribute in their own way. Although, women started to emphasize the gender difference themselves by avoiding “patriarchal” approach to leadership and changing the environment in their teams by involving everyone and making sure everyone was following the general trend within an organization (p.84). This is the period when women’s approach to leadership played its crucial role and women in charge were called the “change” as they pioneered in applying collegial model of management (p.87). When talking of applicability of the whole gender issues to local environment in academia it needs to be emphasized that the question of gender equity is a mere phantom of watery surface because even if there are these certain different approaches to leadership a person has to demonstrate his/her professional skills, knowledge and ability to perform to his/her best without trying to cloak his/her inability to work professionally by these excruciating gender issues. Grogan, M., Shakeshaft, C. (2011). Beyond gender? Women and educational leadership. Jossey-Bass leadership library in education, 83-100. 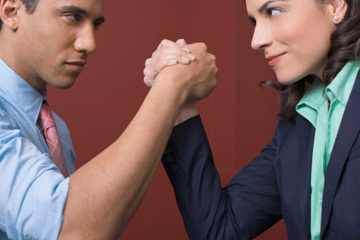 It was interesting to read about gender differences in leadership styles as I have not researched this topic. Thinking about what I witnessed I would agree with the point that women leaders are more soft and caring but not towards all their subordinates, just towards ones they like. I would say that women tend to get personal and their personal attitudes towards subordinates influence working relationships. I would also agree that men tend to think more about their own benefits and less about personal things and relationships. Woman think about all her subordinates and is likely to have personal preferences as well negative attitudes.